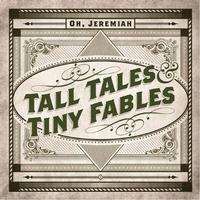 The heart and soul of Oh, Jeremiah is singer/songwriter Jeremiah Stricklin. The man has a real knack for creating effective tunes. The arrangements here are based in a real roots kind of vibe, with a range between country, folk and alternative pop and rock. There’s quite a wide diversity from song to song within that general range of sounds. Female vocals and a good mix of instrumentation lends quite a bit of charm and character to the set. It’s a shame this is only five songs, because I’d love to hear a lot more from this act. Violin leads things out and then the thing turns to something that’s got some Celtic sounds along with country and folk. As the vocals enter the country and folk become the dominant features. Still, more than anything else, this is folk and country inspired alternative rock or alternative pop music. It’s also strong and quite compelling. With a real down home country flavor, intricate and complex musical lines open this and the cut starts working out from there. It’s a much more balladic work than the opener, but sits in a lot of the same territory. While this isn’t as energized as the first tune, it’s got more emotion and charm to it. And now for something completely different – well, almost. This is much more of a progressive rock meets alternative rock kind of piece. The elements heard on the first two numbers are still present, but in a much different arrangement. The result is very cool. It’s almost like Mumford and Sons meets Smashing Pumpkins to my ears. Folk is more prominent than anything else here. It’s a mellower tune that’s quite strong. There’s a real old time, down home charm to it. It almost seems like the best has been saved for last. This is more of the alternative rock and pop meets progressive rock sound. It’s energetic and quite entertaining. It ends the EP in fine fashion.